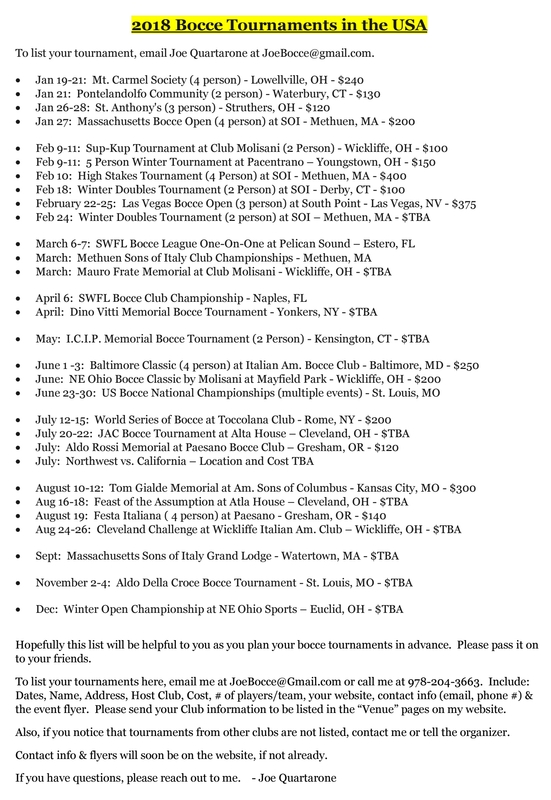 This is a quick glance at bocce tournaments in the USA, but details for each event are in the calendar. 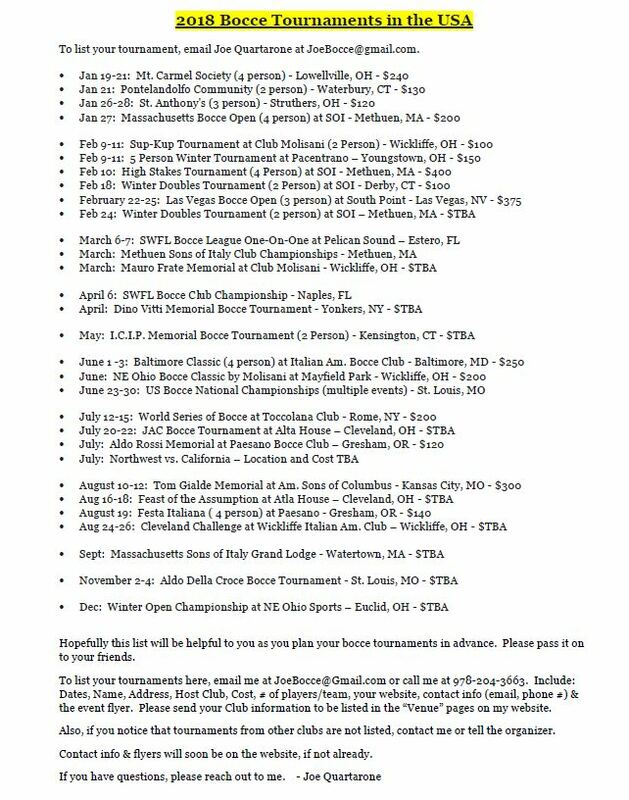 If they are not in the calendar, they will be soon. 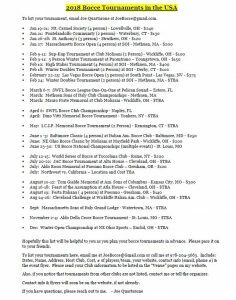 You are encouraged to email me if you don’t see an event or club that you are aware of and want them listed.